SNU stocks over 115 sizes of new vinyl windows. All brand new, factory warrantied, and certified for new construction. WinPro by Cascade. Made in the USA. A well made window that provides good balance between performance & budget. Nail on style frames, with LowE + Argon filled glass. CSA & NAFS8 certified. IN STOCK we can pretty much supply entire house packages without the wait. We also carry 32 sizes without the LowE / Argon - great for sheds, shops & cabins. VISTA series by PLYGEM. Made in Canada. Superior quality & performance. Meets or exceeds even the strictest building codes. Features ridged glass bead, secondary bead seal, and tight clean corner welds. Plygem windows are ordered in to meet your specific requirements. PLUS powder coated aluminum exterior cladding, available in 10 colors. 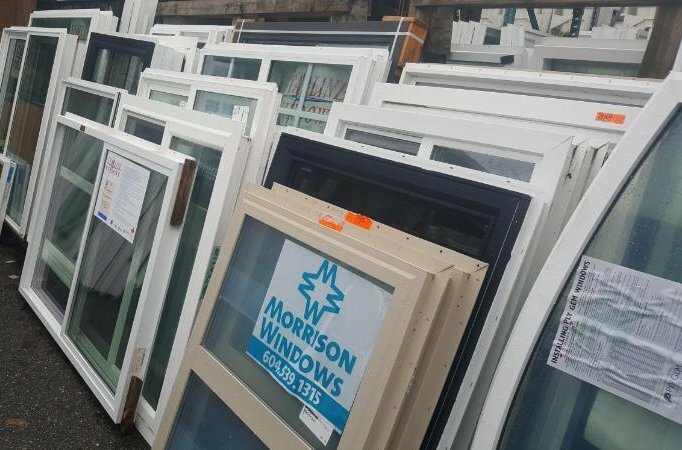 32 sizes of RETRO-FIT FRAME windows IN STOCK. Imported / made to Canadian specifications. Integral flush fin makes for clean & easy install ! Sourced from various other local factory's we also offer hundreds of surplus windows / over runs / wrong sizes / cancelled projects etc. If you have a flexible design and can work around what's on hand you can save 50% or more.